For a more extensive water test and analysis of your water, we recommend pulling proper samples for testing at a certified laboratory. In all cases, it is paramount that water testing be performed in order to determine whether or not a water filtration system or water softening system is necessary to improve or protect your home’s water supply. For health related contaminants such as Arsenic, Radon, Lead, Bacteria, Nitrates or for more comprehensive testing, we can assist you by properly pulling water samples of the right amounts, including complying with required maximum holding periods, temperature, and other protocol. From there, we can bring the samples to a certified lab for testing, which requires specialized analytical equipment and procedures. Once the results become available, we can review them with you and determine what course of action makes sense for you. We have Group 1, Group 2 and Group 3 testing levels (see link just below) or we can customize testing to your needs depending on your specific situation and reason for having your water tested. We can assist you in determining which water test to have done. The contaminants tested for under each of the three Groups are identified in detail at the following link Water-Testing-Sheet–. Testing water from a private well will require more extensive testing than water coming from a municipal supply which has already undergone a certain level of testing. If you are selling your home with a private well, your town’s Board of Health, the buyer’s home inspector or bank may dictate what must be tested for. We will assist you in determining which Group testing is right for you. Once the lab results become available, we can analyze the report, review it with you and determine if any action is required. If a water filtration or water softening system is required, we can review your options and determine the most effective approach for you. For more information on when and how often you should pull a water test and related information, see the link at Water Testing link. If you’d prefer to take samples and bring them to the lab yourself, we can direct you to the nearest one for instructions, etc. Once you get the results, we can analyze and review them with you. 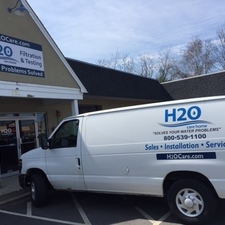 H2O Care is an established full service water filtration and testing organization, originally formed in 1989. See our written and published articles in Water Technology Magazine by going to our website, http://h2ocare.wpengine.com and going to the publications tab at the top of the home page. Contact us by email at service@h2ocare.com or by calling us at 800-539-1100. NOTE: New Hudson, MA office opened in May, 2017 on Route 62 (439 Main St.). 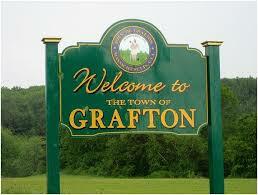 Main office in Middleton, MA on route 114.